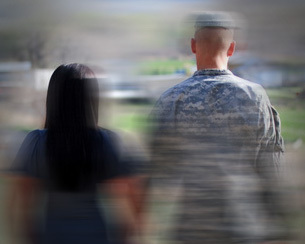 When divorce involves a spouse or spouses serving in the military, unique and highly complex issues exist when they decide to divorce. Challenges that simply do not exist when it comes to child custody and support, spousal support and asset division. Resolving these complicated issues for families in Manassas, Prince William, Manassas Park, Gainesville, Haymarket, Woodbridge, Lake Ridge, Dumfries, Bristow, Warrenton, Centreville, Fairfax, Stafford, Chantilly, Leesburg, Ashburn, Sterling, Herndon, Reston, Alexandria, Annandale, Arlington, and throughout Northern Virginia requires a skilled and experienced family law attorney. Federal laws include the Uniformed Services Former Spouses Protection Act (USFSPA) and the Servicemembers Civil Relief Act (SCRA). The Commonwealth of Virginia requires divorcing couples to meet specific residency conditions, including where they were stationed or last living in the United States. During a life-changing time, we want our military personnel to focus on their jobs. We take on the complexities of their military divorce while they focus on the next chapter of their lives. Not just any attorney can take on divorce cases involving military personnel subject to both federal and state laws. You need a lawyer who can get you the process. Call us at 703-361-0776 or fill out our online intake form to schedule a free initial consultation.